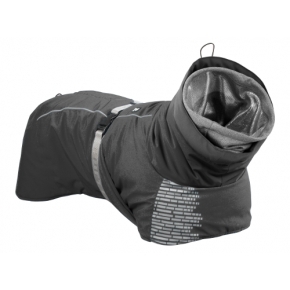 The Hurtta Extreme Warmer jacket will keep your dog warm even in the most challenging conditions. 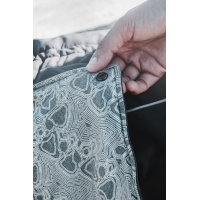 The reflective foil inside the jacket reflects the dog's body heat and gives the jacket significant, extra warmth. The jacket has been designed to offer protection to your dog's key muscle groups, and the sensitive abdomen area. It features an adjustable back length, belt and collar and an opening for a harness. A high tricot hood warms the dog's neck and can be lifted to protect the ears. It is quick to put on and take off, the jacket is particularly well suited for warming up the muscles of active dogs before or after training. This product is waterproof and has a breathable Houndtex coating as well as high-visibility 3M reflectors improve safety in the dark. 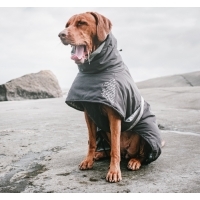 This Dog coat is recommended for demanding use; for such times as hill walking, flyball and other training session and extreme weather conditions. 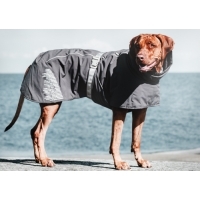 This coat is suitable for Golden Retriever, Dalmatian, Labrador. 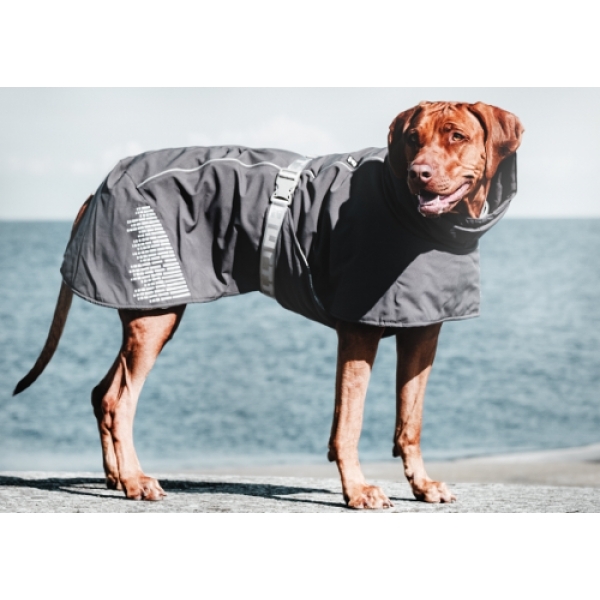 Back Length 60cm - 24"
Chest 58 - 96cm - 24" - 37"
Animate Outhwaite Raspberry Padded Dog Coat 24"
Danish Design 2 in 1 Four Seasons Performance Dog Coat Black 60cm 24"
Danish Design 2 in 1 Four Seasons Performance Dog Coat Khaki 60cm 24"
Danish Design 2 In 1 Four Seasons Performance Hi Viz Dog Coat 60cm - 24"